Most homeowners give little thought to what occurs as waste goes down their drains. 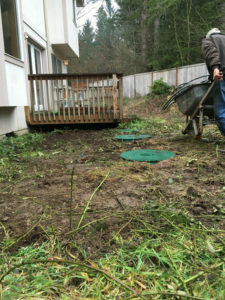 However, for homeowners that rely on a septic system to treat and dispose of household wastewater it is essential to understand that proper maintenance and septic tank pumping are the keys to extended life of your septic tank system. While there is no perfectly set schedule for septic tank cleaning we recommend septic pumping every three to five years depending on your tank size, usage and type of tank. We are one of the most reliable and experienced services in the Black Diamond area that offers septic tank cleaning and a full range of septic solutions. Call us for a free estimate! Prior to reaching a sludge volume of 40% of the volume of your septic tank you should call us for septic tank pumping. When reaching that volume without septic pumping service the system will be unable to perform its wastewater separation function that allows the greases and solids to be carried into the drain field cause clogging and sewage backup into your home. Call us for a free estimate for septic pumping. We offer sewer and septic service at very competitive rates! Why Should Black Diamond Residents Choose Us for Septic Pumping? 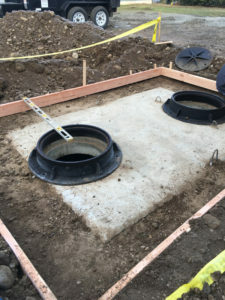 As a leader in the septic and water services industry we have professionally trained technicians skilled in all aspects of septic tank pumping and related septic or sewer issues. If you have not had a septic inspection of your system, or you have exceeded the recommended schedule of three to five years for septic tank cleaning, call us to inspect your tank to avoid the risks of septic tank overflow.